Doctors without Borders–known as Artsen zonder Grenzen in Dutch– gives assistance worldwide to victims of wars, epidemics and disasters, irrespective of race, creed or political affiliation. And like many non-profits, raising money to further their cause is a huge priority. Through emotional storytelling and putting cameras into the hands of doctors in the field, they’ve achieved this core mission and increased online donations via their new website. We’re surrounded by beautiful and powerful stories across everywhere on the Internet, and as content creators and marketers the challenge of cutting through the noise is eternal. And when it comes to social good or raising awareness around important humanitarian issues, this challenge only deepens. However, Silver and People’s Lovie Award Winners Doctors without Borders (NL) in partnership with their digital agency TamTam, found a personal and powerful way to bring their audience into the fold on their new website. "Creating an emotional bond with users by bringing the impressive work Artsen zonder Grenzen (Doctors without Borders) does closer to home"
Doctors without Borders–known as Artsen zonder Grenzen in Dutch– gives assistance worldwide to victims of wars, epidemics and disasters, irrespective of race, creed or political affiliation. And like many nonprofits, raising money to further their cause is a huge priority. Through emotional storytelling and putting cameras into the hands of doctors in the field, they’ve achieved this core mission. 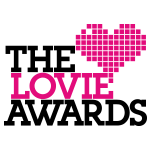 Watch The Lovie Awards Google Hangout with TamTam for more about this project. ► What was the breakthrough that made you realise you’d cracked it? The website is a really important medium to collect donations that can help a lot of people in dangerous places in the world. Because our work can make a big difference to a lot of people, [we were]a little [nervous] during the first weeks after the launch. When [we] heard the amount of visitors that are prepared to donate has doubled since the launch, [we] realised we nailed it! ► Was there a secret sauce or magic ingredient? The stories, pictures and videos of the caregivers from dangerous places all over the world. ► What was the biggest lesson you learned from this project? Making impact is not only about portraying people in need, but is also about the focus on the solutions we can [offer] with each other. ► What was the most rewarding part of this project? Our strategy flipped the traditional ‘push’ method of communicating to ‘pull’ and resulted in an increased number of donors. ► What got you through the toughest moments? Remembering the caregivers who work so hard and risk their lives every day to help other people in the world. Giving them a place to tell their stories and [giving] them a face, got [us] through tough moments. And of course, the dedicated team and client. We worked with a small team very closely together [that] gave the project a good vibe.